On Thursday, February 8, 2018, the Bell County District Attorney’s Office reviewed this case and returned a complaint charging 21 year-old Roosevelt Jones IV of Killeen with Aggravated Robbery at the Sweet Eats Bakery. Justice of the Peace Bill Cooke arraigned Roosevelt Jones IV on February 9, 2018 and set his bond at $150,000. On Friday, February 09, 2018, the Bell County District Attorney’s Office reviewed a second case for an Aggravated Robbery at the Home Barber Shop, and returned a complaint charging 21 year-old Roosevelt Jones IV with Aggravated Robbery. Justice of the Peace Bill Cooke issued an arrest warrant for Roosevelt Jones IV. Jones has been transported to the Bell County Jail. Killeen Police investigate an early morning Robbery. On February 7, 2018, at approximately 7:45 a.m., officers responded to 1010 W. Jasper Drive, after receiving a 911 call letting them know the Sweet Eats Bakery had just been robbed. Officers were told that a male entered the store and displayed a weapon, demanding money from the store employee. The suspect then fled south with an undisclosed amount of money. During the robbery, the suspect assaulted the victim, who was subsequently transported to Baylor Scott & White Hospital in Temple in stable condition. The suspect is described as a black male, approximately 5’9” tall and was last seen wearing a dark shirt and camo pants. During the investigation, detectives with the Criminal Investigation Division Violent Crimes Unit, received information about a possible suspect involved in this robbery. At approximately 10:20 a.m., the suspect was located and taken into custody. 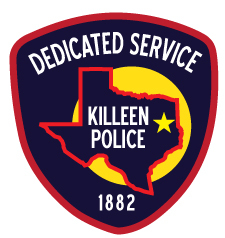 The suspect remains in the custody of the Killeen Police Department pending charges.